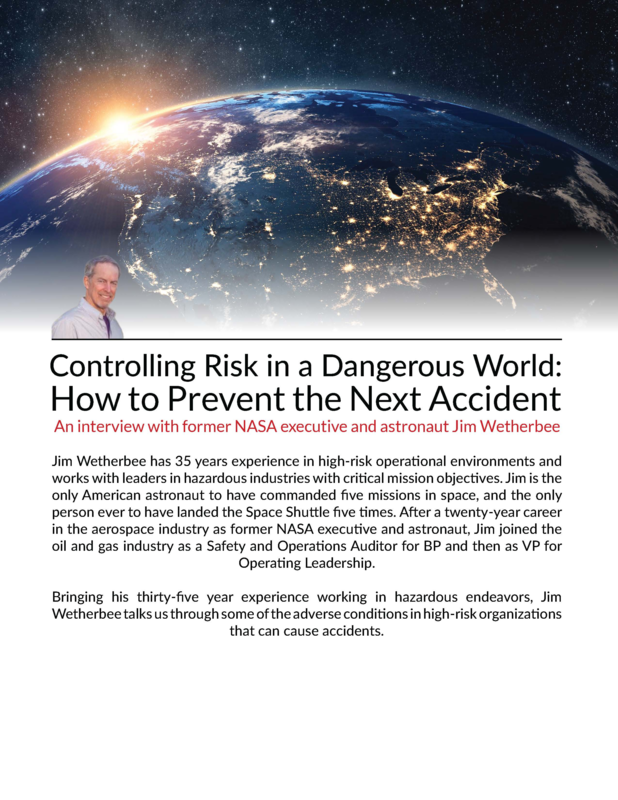 Exclusive interview with Jim Wetherbee, the only American astronaut to have commanded five missions in space, a former Vice President of Operational Leadership at BP and author of the recently published “Controlling Risk"! In this exclusive interview, Jim discusses the ten common adverse conditions that existed in companies that experienced a major safety incident and how to use the presence and severity of these conditions as indicators to determine if your organization may be drifting toward a disaster. Download the full interview to find out more.